"San Francisco has been a favorite of mine for a very long time. When I was a small boy, the City by the Bay was the city for me-my visits here taught me what big city life was all about. I was captivated by its color, its energy the bustle of its crowded streets, its breathtaking vistas. I still am. So I return time and again to enjoy old haunts and explore new ones. There are so many intriguing nooks and crannies in this exotic town; there are also stunning spectacles that simply take my breath away. 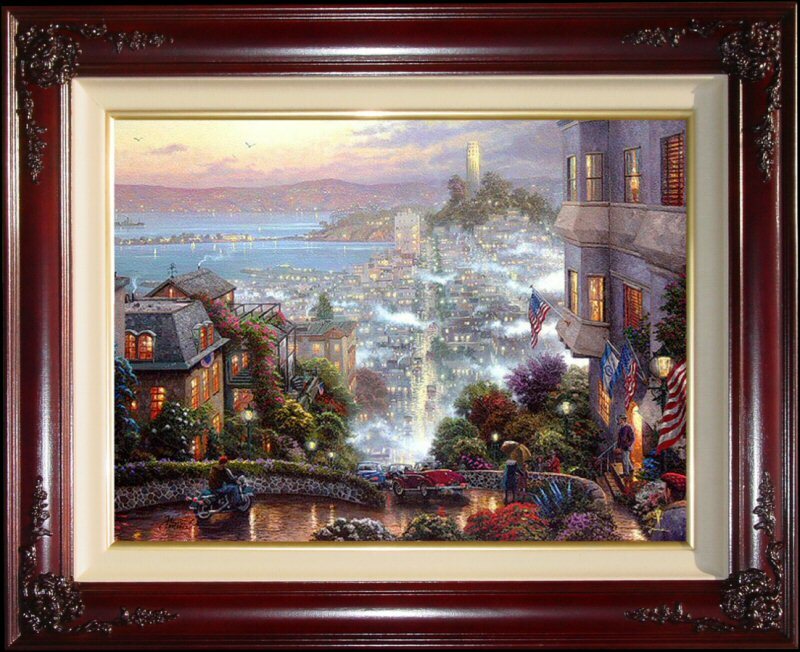 San Francisco, Lombard Street celebrates one of the latter-a sweeping panorama that takes in city, bridges, and bay. Proclaimed "the crookedest street in the world," Lombard Street plunges through a profusion of flowers and romantic old homes down to the bay. Treasure Island, built as the largest manmade island in the world for the 1939 Golden Gate International Exposition, extends across the distant bay and the sweeping spans of the Bay Bridge, whose completion was the inspiration for the fair, lies just beyond. This is a golden evening; the warm glow of sunset banishes the mist and paints the busy street with its cheerful light. The exuberance of city life is everywhere evident. 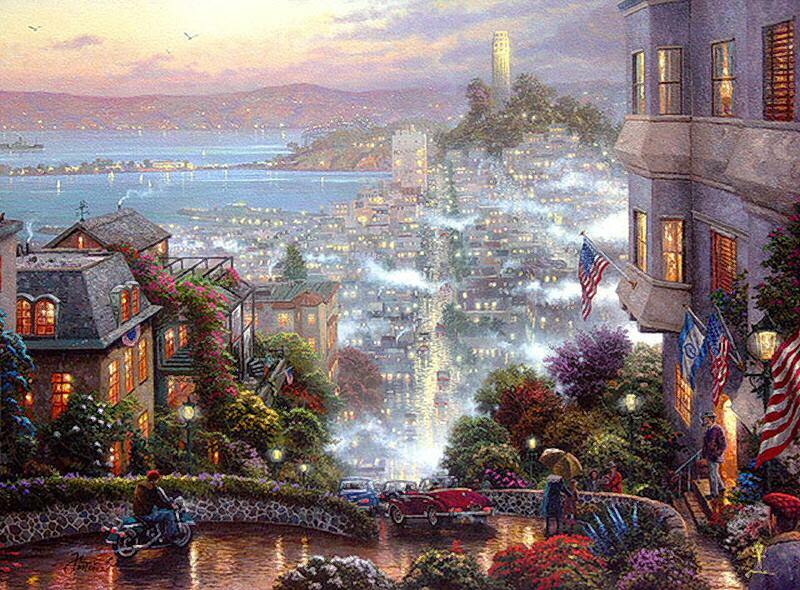 On Lombard Street, on an evening such as this, life is a gala celebration of the endless possibilities of city life. I invite you to celebrate with me."